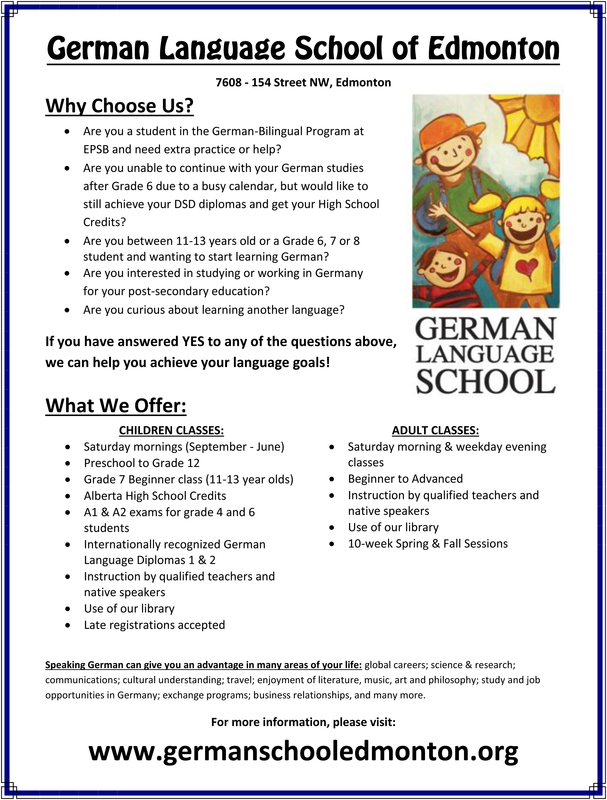 Welcome to the German Language School of Edmonton! NEW TO THE GERMAN LANGUAGE? 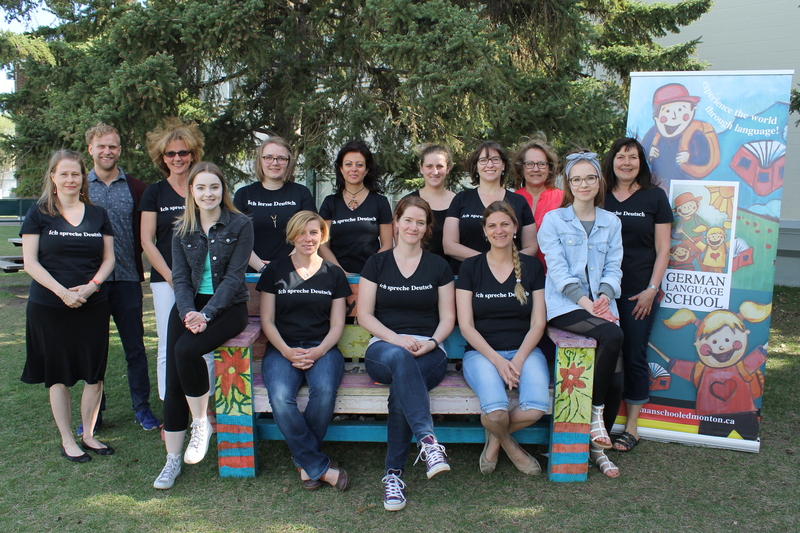 CHILDREN: We teach classes from Preschool to Grade 12, or join our Children’s Beginner Class for 11 – 13 year olds! We even award AB high school credits! ADULTS: We offer Adult Beginner and Advanced Classes twice a year! 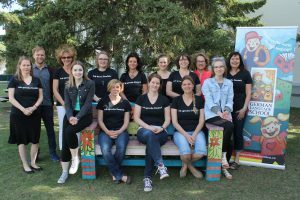 Our school was founded in 1959 by a group of mothers with the idea of preserving and teaching the German language for the benefit of their children. 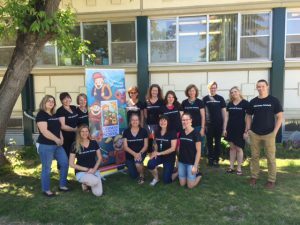 In 1989 the school was officially registered with the Alberta Department of Education as a private and accredited school. 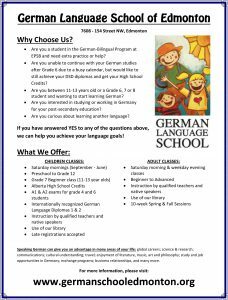 The German Language School Society of Edmonton is a self-governed, not-for-profit society, run by an elected Board of Directors.